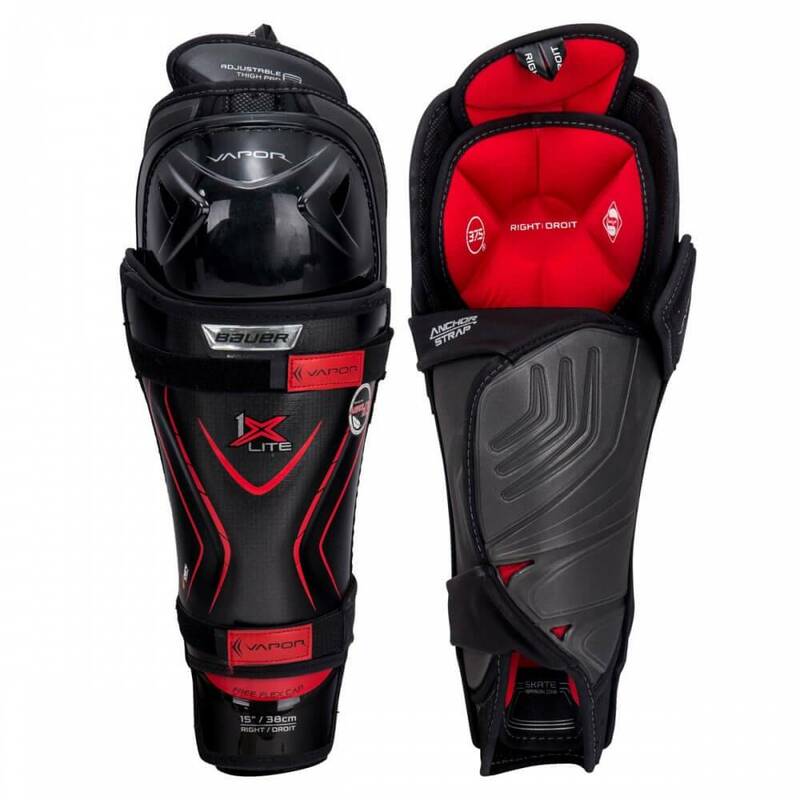 The Bauer Vapor 1X Lite Shin Guards are the lightest elite shin guards ever released. 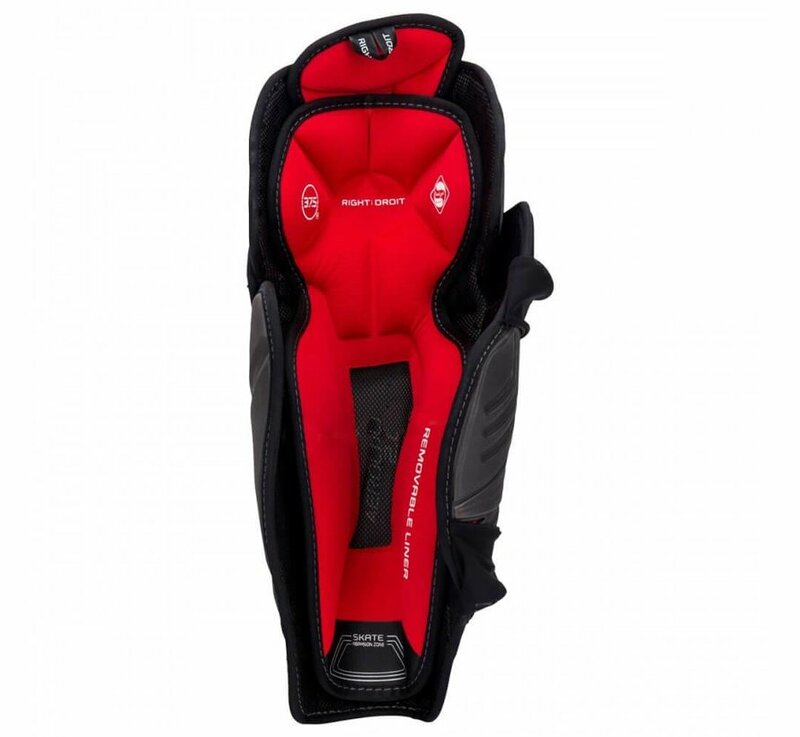 Bauer only used their most technologically advanced composites and foams to reduce the weight by 10% compared to 2016 1X, without compromising protection or coverage. AeroLite 2.0 Foam is the game-changer for the 1X Lite. This proprietary, exclusive foam lines the inside of the Curv Composite shin shell and plays the biggest factor in weight reduction. Curv Composite, also found in Bauer's elite skate boots, also helps to shed weight but acts as the protective backbone for the shin guard. 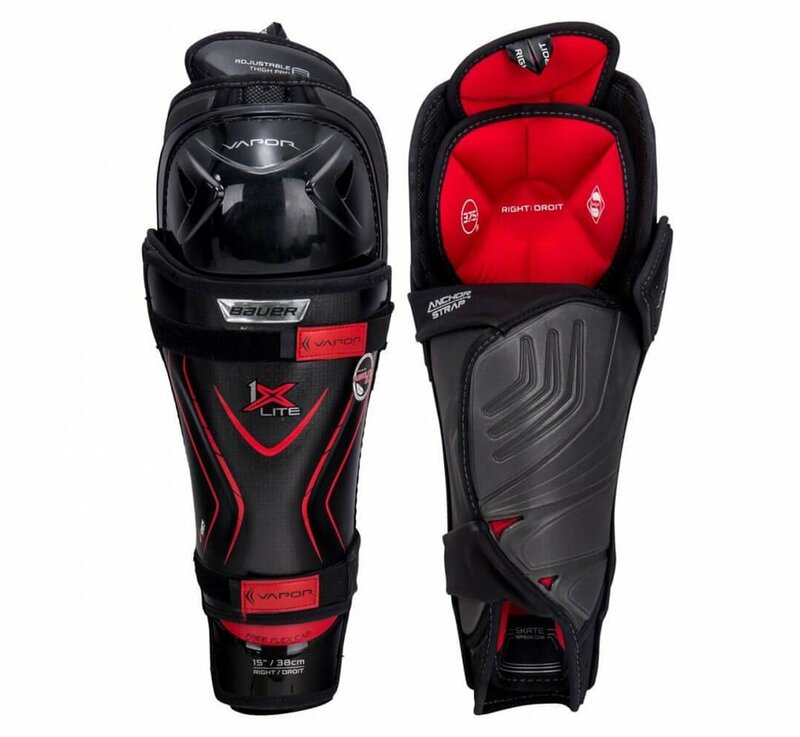 The knee wings and the calf guard feature new multi-density HyperLite HD foam. This lightweight and protective foam boasts unique water-repellent properties that help to keep the pad from getting water-logged and heavy during games and practices. 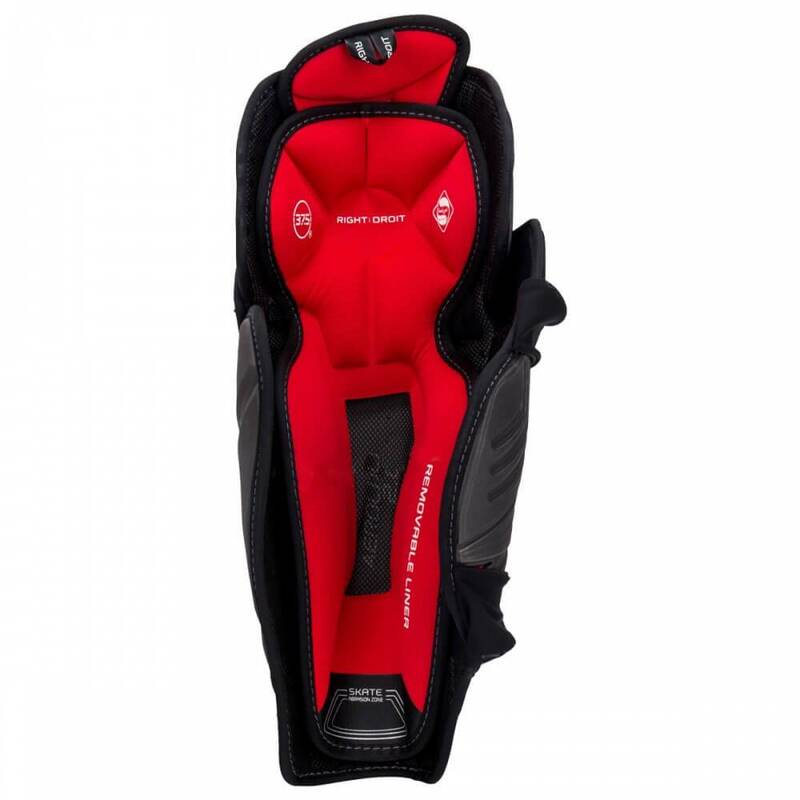 It is also a form-fitting material that ensures complete coverage without sacrificing mobility.